If you trawl through some of the literature on the impact of artificial intelligence on the world of work, you see some scary stories about robots taking over the world. More prosaically, though, you see some simple explanations for modern economic puzzles – in particular the phenomena of weak productivity growth and rising inequality. At the risk of over-simplifying, the story seems to be that most of the new jobs in the developed economies are relatively low-paid, low productivity jobs. Think drivers, deliverymen and women, cooks, waiters, carers, nursing assistants, labourers and multiple kinds of freelancers in the so-called gig economy. What does this mean for the tiny island of Guernsey, dominated by its finance sector and its public sector, enjoying low unemployment but with an uncertain growth outlook? For a start you could ask Susie Crowder, who has founded an entity called Bright Futures. 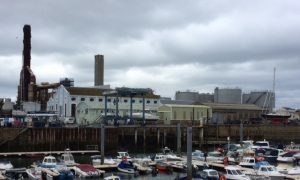 She is too polite to be explicitly critical, but it is self-evident that Guernsey’s record in skills development and careers advice is wanting, especially in equipping its workers with the necessary requirements for its evolving economy. “It would be good if, as well as teaching our kids about Pythagoras’s theorem, we could also teach them about the wonders of compound interest,” she says. She is acting against a background in which it is taken almost as gospel that intelligent machines, thanks to their ever-improving software, their processing power and their learning ability, will be able to do most kinds of work better than people can, and at lower cost. Thus, physical tasks that are repeatable and predictable, and activities involving the processing of data, will apparently be vulnerable. Sectors likely to be affected include manufacturing, transport, warehousing, retail and accommodation, and within this it would appear that those who earn less or have less education will be most affected. The winners will be those who occupy a special or exclusive position – think of the owners of property in desirable locations, or lawyers with a particular expertise, or teachers of much-needed modern IT skills. In any society, especially one with the limitations shown by an island community, it is precisely this need for relevant skills which is the key to a sustainable future offering growth, jobs and incomes. Over recent years, efforts to develop such skills have proved fruitful only to a degree. It was a former head of the finance sector regulator who spotted the difficulty back in the 1990s when he identified what he called the ‘meringue’ problem. He was referring to the tendency of employees in the all-important finance sector to rise beyond the level their skills warranted, leaving below them air pockets of the kind you would find in a meringue. He successfully “persuaded” companies in the sector to help fund professional and technical education relevant to its needs. Banks and other financial entities saw their regulatory fees rise with part of these revenues hypothecated to support degree-level qualifications in areas of business which would ensure the sector’s continued growth. The upshot was the creation of the Guernsey Training Agency with a link to the university in Bournemouth. Among other things it also sponsored courses for aspiring company directors. In the cause of developing the local skills base, the island separately funded a College of Further Education aimed at technical qualifications for various key sectors such as construction. Other further education entities, for example in health, were also set up. It was almost inevitable that politics intervened, driven largely by the need to fund these institutions. It was all very well forcing financial institutions to cough up, but this could not last, and the taxpayer also had limitations. Responsibility also fell between different government departments, making for incoherence and unseemly squabbles which continue today. One initiative which carried much hope but ultimately languished was the well-intentioned entity Skills Guernsey. Those behind it produced insightful reports and recommendations but eventually gave up in despair, and the political deputy now responsible for it admitted recently that it was languishing, barely keeping its head above water for lack of resources. Susie Crowder herself established the Channel Islands Skills Academy some 10 years ago only to run up against the indifference of the States. Now, however, it seems reality may have dawned in the form of an official recognition of the problem posed by inadequate skills at a time of transformative technical change – coupled with an understanding by the government that it needs help and not just money to tackle it. How to interpret this? The financial support might come in the form of a bursary scheme for those who are financially unable to attend university or specialist college, despite being qualified or able. This is likely to be something better than a subsidised loan, and better than the UK student “tax”. One possibility might be to match recipients with donors with the requirement that, post-qualification, recipients work for the donor for the period funded. The professional advice on career opportunities and the mentoring service is interesting because it includes people of all ages – not just the young, but “returners” who have spent years working outside the island, mid-level nearly-made-it managers and silver-haired early retirees. Many need guidance, support and encouragement, and would benefit from training or career counselling. The focus is on the changing state of the labour market in the 21st century. We’ve moved into the world of AI, social media and Google/Wikipedia, and in Guernsey we work mainly in service sector activities, in small businesses and in the gig economy. We also face some “macro” problems: are we prepared for life after Brexit, for future attacks on the offshore world, for a contraction in the workforce as the population ages? The worry is that employer needs have changed and new skills are desperately required, and there is a sense that HR departments and schools are struggling to offer this advice because their knowledge of the opportunities in the ‘outside’ world is inadequate. Even the local Careers Fairs organised each year are outmoded. 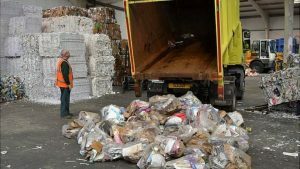 If this second focus for Bright Futures is targeting the ‘supply’ side of skills, its third – assessing the island’s future shortages – is aimed firmly at the demand side. Few people have a deep understanding of what skills will be needed by companies and non-commercial entities outside the finance sector. The idea is to plug this gap. 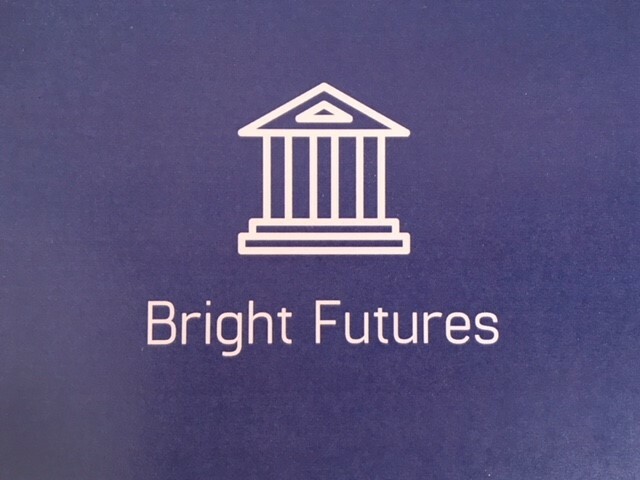 Bright Futures is a company limited by guarantee (LBG), with board members experienced in the corporate world and with a patron in the form of Guy Hands, the locally-based private equity entrepreneur. Formidable as they are, however, their work will be cut out for them. A vast number of the jobs in Guernsey are currently administrative, particularly in the finance, commercial and public sectors. It is one thing setting up a framework for “upskilling”. 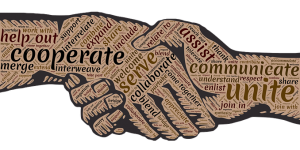 It is quite another to make it work – securing the experts to help those who lack the skills or advice they need, and identifying what will be required in future.